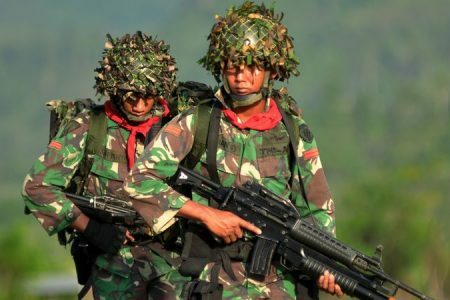 TAPOL and the East Timor and Indonesia Action Network (ETAN) condemn yet another wave of mass arrests1 during the opening week of the 73rd session of the United Nations General Assembly (UNGA). 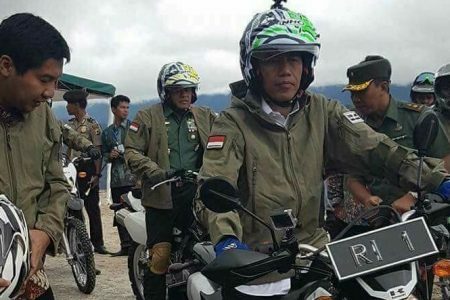 We also disagree with Indonesia’s claim that UN Resolution 2504 of 19693 has settled the issue of West Papua’s political status. 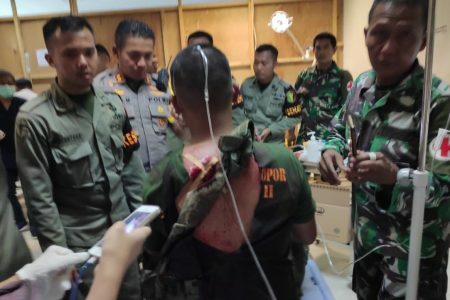 In late September, Indonesian security forces arrested 89 West Papuans and many more were beaten.4 One West Papuan is being investigated for treason. 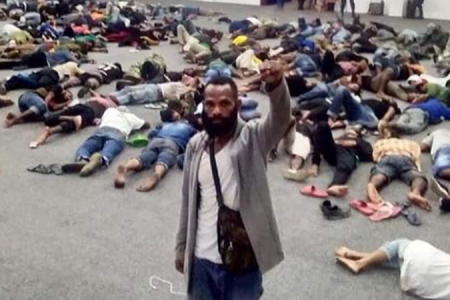 Their alleged crime was to have peacefully demonstrated their support for the United Liberation Movement of West Papua and for the Republic of Vanuatu which planned to speak about human rights and the right to self-determination at the UNGA session. (An additional 39 Papuans were detained in Malang, East Java on 30 September for demonstrating in support of self-determination.5) This problematic trend of unlawful mass arrests of peaceful protesters was highlighted two years ago, when the UN Committee on the Elimination of Racial Discrimination delivered two early warnings to Indonesia.6 These warnings arose from 5,361 unlawful arrests of West Papuan peaceful protesters in just one year alone.7 No other group has suffered such treatment at the hands of the Indonesian state. Hence, there have been systematic human rights violations in West Papua in the past, but they continue. West Papuans are not only discriminated against in their own ancestral territory of Papua, but in other provinces of Indonesia. There have been racially motivated attacks by state-backed gangs against West Papuan student dormitories in Surabaya,11 Yogyakarta12 and Malang,13 as well as assaults by security forces in Manado and Tomohon.14 West Papuans are routinely prevented from holding public discussions and peaceful protests in Java and other non-Papuan parts of Indonesia. It is long-overdue for the UN to revisit its unfulfilled obligation to ensure a proper decolonization of all peoples with regards to West Papua. Contrary to Indonesia’s delegate claim, the 1969 UN Resolution on West Papua29 did not have universal support. It was debated at great length over three sessions and the final vote was marked by 30 abstentions. This was because the coerced ‘Act of Free Choice,30 was recognised to have been procedurally flawed. UN members voted to acknowledge the agreement between Indonesia and the Netherlands regarding West Papua. The process allowed West Papua’s fate to be dictated by two foreign colonising governments. The West Papuans were props in a charade; no real effort was allowed to ascertain their true wishes. The UN has an obligation to revisit this morally unacceptable outcome, arrived at through an event in which only 1,026 handpicked West Papuans were pressured to raise their hands in assent to a proposition they had no hand in drafting.31 That deeply flawed process was a stark abrogation of the United Nations Temporary Executive Authority’s responsibility to oversee a just decolonisation. The UN should have ensured that process adhered to the universally recognised standard of one person, one vote. *TAPOL and ETAN take no official position on the political status of West Papua. We support the right and aspirations for West Papuan people to decide their own future. 8 http://www.tapol.org/news/condemning-clampdown-freedom-expression-indonesia-nearly-one-hundred-west-papuans-arrested-two, and see n 3.